ClubCoins Needed: 267 Games are not compatible with mobile and tablet devices. Please add this title to your Wish List and sign on to your the first club account from a desktop computer to complete your redemption. NOTICE: Activation key must be used on a valid Steam account. Requires internet connection. About the game	Bethesda Game Studios, the award-winning creators of Fallout 3 and The Elder Scrolls V: Skyrim, welcome you to the world of Fallout 4 – their most ambitious game ever, and the next generation of open-world gaming.As the sole survivor of Vault 111, you enter a world destroyed by nuclear … war. Every second is a fight for survival, and every choice is yours. Only you can rebuild and determine the fate of the Wasteland. Welcome home.Key FeaturesFreedom and Liberty!Do whatever you want in a massive open world with hundreds of locations, characters, and quests. Join multiple factions vying for power or go it alone, the choices are all yours.You’re S.P.E.C.I.A.L!Be whoever you want with the S.P.E.C.I.A.L. character system. 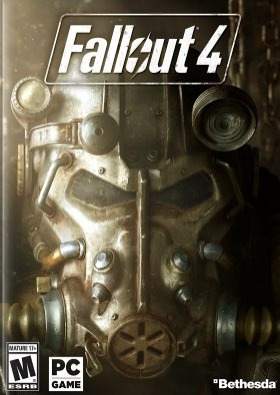 From a Power Armored soldier to the charismatic smooth talker, you can choose from hundreds of Perks and develop your own playstyle.Super Deluxe Pixels!An all-new next generation graphics and lighting engine brings to life the world of Fallout like never before. From the blasted forests of the Commonwealth to the ruins of Boston, every location is packed with dynamic detail. Violence and V.A.T.S. !Intense first or third person combat can also be slowed down with the new dynamic Vault-Tec Assisted Targeting System (V.A.T.S) that lets you choose your attacks and enjoy cinematic carnage.Collect and Build!Collect, upgrade, and build thousands of items in the most advanced crafting system ever. Weapons, armor, chemicals, and food are just the beginning - you can even build and manage entire settlements. System Requirements Windows - Minimum OS: Windows 7/8/10 (64-bit OS required) Processor: Intel Core i5-2300 2.8 GHz/AMD Phenom II X4 945 3.0 GHz or equivalent RAM: 8 GB RAM Hard disk: 30 GB free HDD space Video card: NVIDIA GTX 550 Ti 2GB/AMD Radeon HD 7870 2GB or equivalent Windows - Recommended OS: Windows 7/8/10 (64-bit OS required) Processor: Intel Core i7 4790 3.6 GHz/AMD FX-9590 4.7 GHz or equivalent RAM: 8 GB RAM Hard disk: 30 GB free HDD space Video card: NVIDIA GTX 780 3GB/AMD Radeon R9 290X 4GB or equivalent © Bethesda Softworks LLC, a ZeniMax Media company. Bethesda, Bethesda Softworks, Bethesda Game Studios, ZeniMax and related logos are registeredtrademarks or trademarks of ZeniMax Media Inc. in the U.S. and/or other countries. Fallout, Vault Boy, and related logos are registered trademarks or trademarks ofBethesda Softworks LLC in the U.S. and/or other countries. All other trademarks or trade names are the property of their respective owners. All Rights Reserved.